There are plenty of new features in modern television. This is the Golden Age of Television. More and more people are deciding to watch television today in general. This means that they are going to want their television screens to be up to the task, presenting these images with as much clarity as possible. Many of these new television features are going to add to the experience. Read more on this article by the Repairs.sg TV Repair Company. HDR is very new in televisions today. People are still going to usually say that it represents emerging technology. However, a lot of people are really excited about it even now. 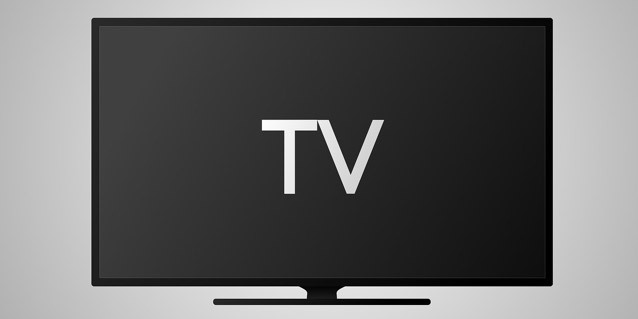 The television viewing experience has gotten better and better as the image quality on television sets has improved. HDR is going to manage to bring the television viewing experience to the next level. Overall, HDR is capable of making the entire visual field that people see onscreen much more vivid. They will be able to see details in shadows that never would have been present otherwise. The colors are going to be much clearer and brighter. The contrast between different dark shades will be clearer, which is going to make it easier for people to be able to really detect the details present in a given visual field. The images in HDR are going to be much more dynamic in general as well. People who watch television programming with HDR are going to feel as if they have super senses. This is a cool technology that is really going to feel futuristic for a lot of people. HDR is new enough that some people are going to be frustrated with the lack of content available. The people who buy DVD's are going to have a hard time watching movies and television shows in HDR. Streaming shows and movies in HDR is going to progressively get more and more difficult as well. However, people are still going to be able to appreciate this exciting new technology at this point. This literally stands for ultra-high definition. This should give people a sense of what they can expect with this sort of new feature. UHD is really going to give people the opportunity to perceive the visual information on their television screens in a whole new way. They are going to be able to see fine details that never would have been present otherwise. The visual sharpness and fine contrasts are going to be present in UHD at a whole new level. The people who care about the quality of the visual field on their television sets more than anything else are really going to be able to appreciate UHD. UHD tends to make the HD of ten years ago look entirely flat by comparison. OLED screens, or organic light-emitting diode screens, are starting to become much more popular. Some people are saying that they are going to wind up replacing LED screens. People who are used to plasma television screens are automatically going to recognize the inner workings of OLED screens. OLED screens have more in common with plasma screens than LED screens. People are going to be able to get some of the best black levels possible with OLED screens. Many OLED screens are also going to be much smaller and thinner than the plasma screens that people would get otherwise. Small and thin screens have been popular for a while, and this is going to have a strong impact on whether or not OLED screens are able to really take off in the marketplace. In all likelihood, they will. It's now getting easier and easier for people to be able to play apps on their smart TV sets in general. They are equipped to accept a wide range of different apps at this point. This is going to give smart TV sets a lot of different features in practice. People are going to have an easy time when it comes to modifying their smart TV sets. They are also going to have an easier time diversifying their media experience in general. The line between different forms of technology has been blurring for a long time. App installation in smart TV sets is just another part of the picture.